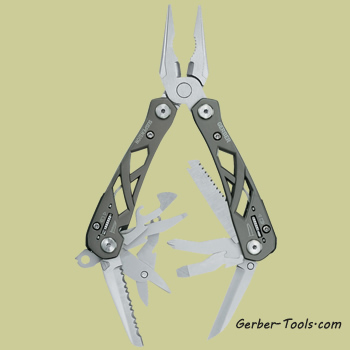 Suspension Multi-Plier 22-01471. 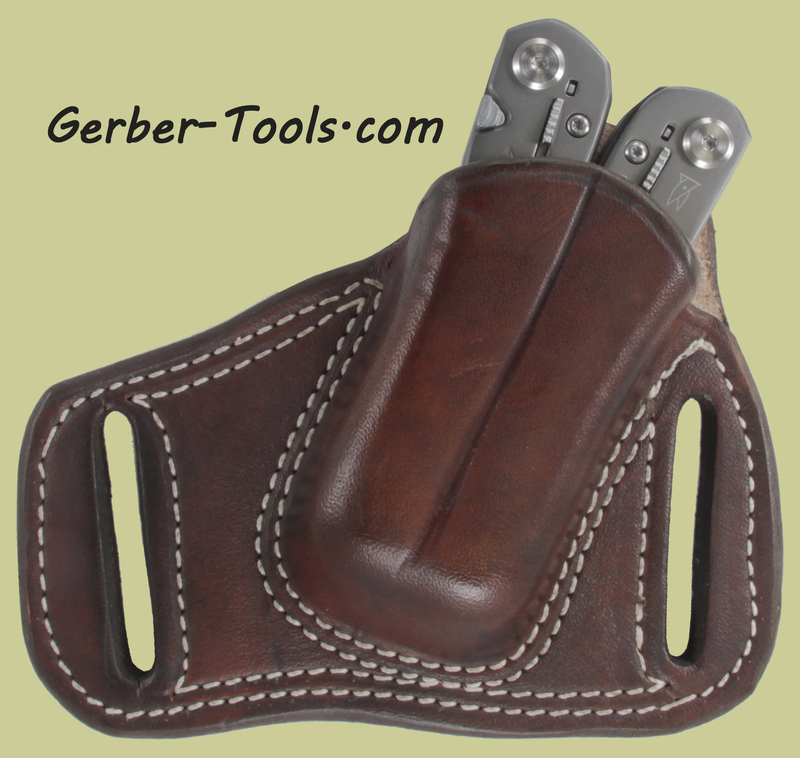 The Gerber Suspension has spring-loaded pliers, the patented Saf.T.Plus component locking system, a ballistic nylon sheath, and the very same structural integrity that goes into every Gerber tool. 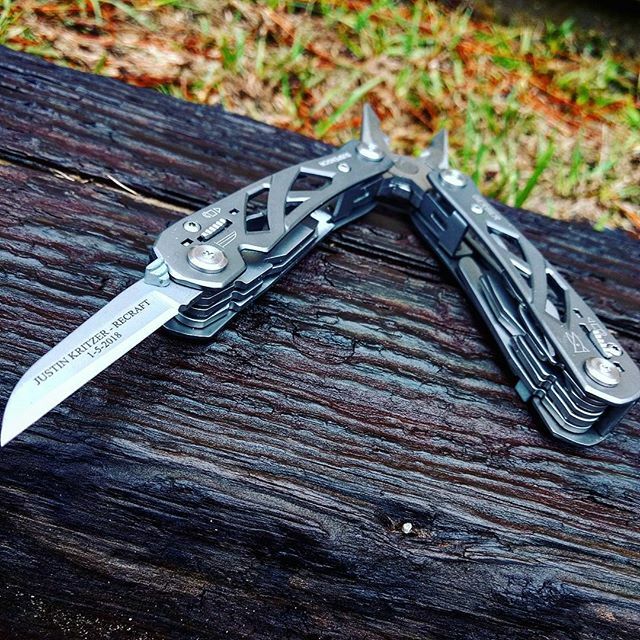 Comes with a nylon sheath. Scissors, saw blade, awl, phillips screwdriver, flathead screwdriver, and blade. 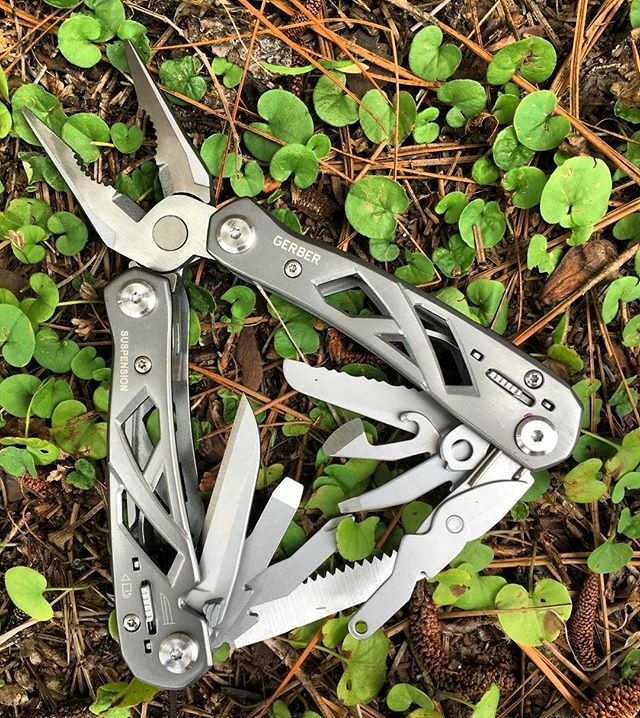 One of the most satisfying things about this multitool (other than it's great price) is the spring loaded pliers. 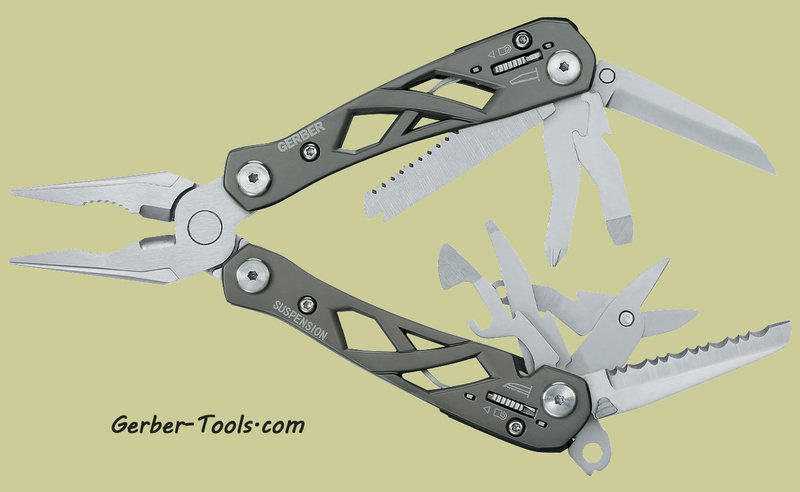 It makes using the pliers much easier because they open in your hand as you release your grip!